16, With no batteries or electricity to tie you down,Soda-Club gives you a highly energy-efficientsmall appliance and safety, Appliances that work without electricity improve the environment by cutting down on the emissions generated by electrical plants, giving us cleaner air and ground water. 18, Portable:Not using electricity and not having to be hooked up to anything,it is as much fun to use it at home,office,Picnics,Cott. 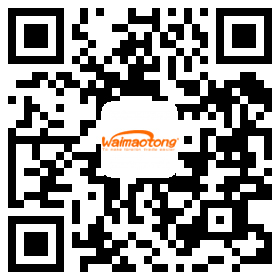 OUR HIGH QUALITY PRODUCTS, GOOD PRICE AND BEST SERVICE MAKE YOU TO WIN THE MARKET! Located in Shanghai, China, Shanghai Bene High Pressure Container Co., Ltd is a professional manufacturer of high quality of gas cylinder, such as steel cylinder, aluminum cylinder, glass fiber cylinder and storage tanks. Also all kinds of cylinder accessories. We have more than 20 years of producing and exporting experience in the field of medical, industry, beverage, aviation and diving. And we have a good reputation in these fields. Our products have won praise from customers worldwide. They have been exported to USA, Germany, UK, Swede, Poland, Australia, New Zealand, Russia, UAE, Saudi Arabia, Iran, Pakistan, Bangladesh, Egypt, Japan, Singapore, Chile, Peru, Brazil and etc. 1. Can I do OEM in your factory? 2. What kind of certifications do you have for your products? 3.What is the capacity of Soda Maker Cylinder? Our capacity of Home Soda Maker Co2 cylinder is generally 0.6L. We can also supply the design and cylinder for your non-standard size. 4.Can you filling co2 gas into the 0.6L Co2 cylinder and what about the weight? Yes! We can able to fill food grade co2 gas in the refilled co2 aluminum cylinder, and the price is very good. gas weight is about 360g-420g. 5.What about the working pressure? It is about 150bar, we also have non-standard pressure. It generally will take us 25-30 days to finish the order. Company Name:SHANGHAI BENE HIGH PRESSURE CONTAINER CO., LTD.